New York City Day 2 December 21, 2014 · 15 min. readThis article may contain affiliate links. Of course, I had forgotten all about the children's hospital. I woke up, used the community washroom, and headed out towards the skyscrapers of New York City. 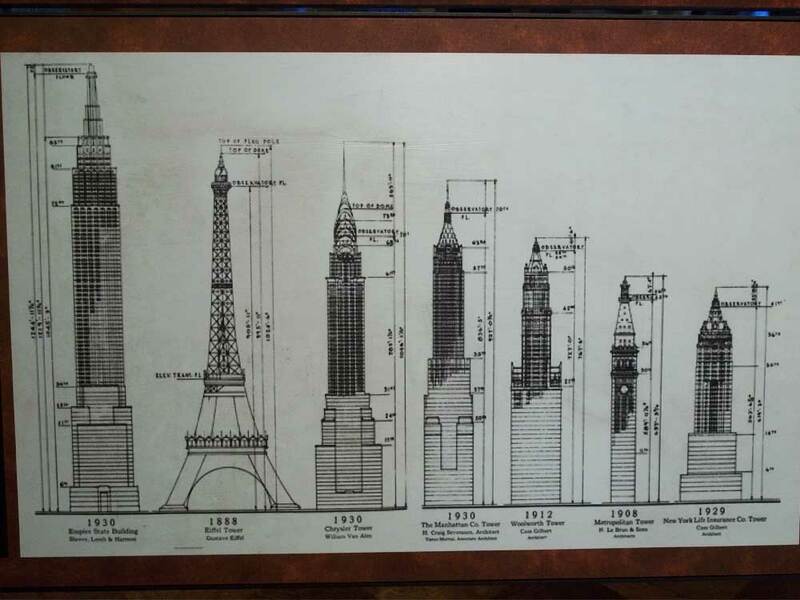 I had a map with specific locations marked on it: Grand Central Station, The Empire State Building, the Chrysler Building, Times Square, Central Park, and the American Museum of Natural History. 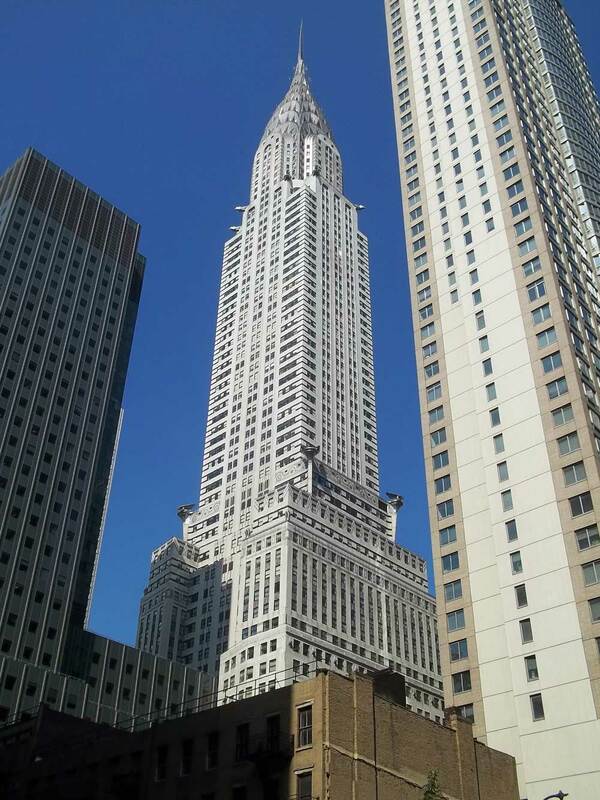 Although Manhattan is huge, my hotel was close to the center of it and it didn't take me long before I saw the towering shapes of the Chrysler Building. Now of course, that wasn't my first destination but it did help me navigate which direction I was looking as I got twisted and turned around the many streets of New York. 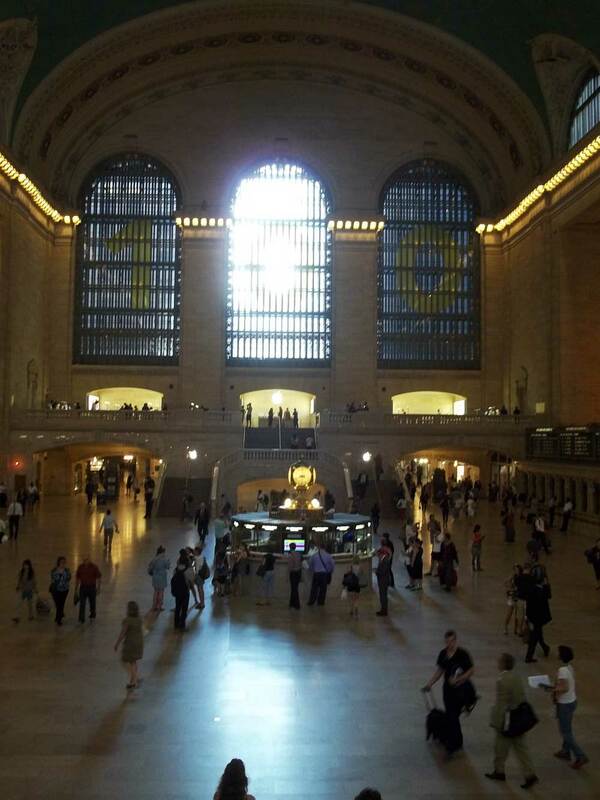 I arrived at Grand Central Station, and immediately remembered the scene in Madagascar where Alex and his fellow animals run into the station and cause chaos. Although not mentioned as frequently as the Statue of Liberty, the World Trade Center, or the Empire State Building are in literature, Grand Central Station was still an incredible site to see. Being a veteran subway navigator from my time in Europe, I would've used the subway here in a heartbeat, except today everything I was going to see were located in Midtown and I didn't have to use the subway. But it was helpful to know how close it was. Outside I headed towards the grandiose Chrysler Building. The moment I got inside, I felt something was wrong. The inside of the building was a spotless brown gold, from top the bottom, with a television on the side discussing the history of the building. I had read somewhere I could go to a balcony or viewpoint from the building and see the skyline. I asked a guard and he looked at me questionably. This massive building were all offices; there was no viewpoint. There was one a few blocks away but none at this building. 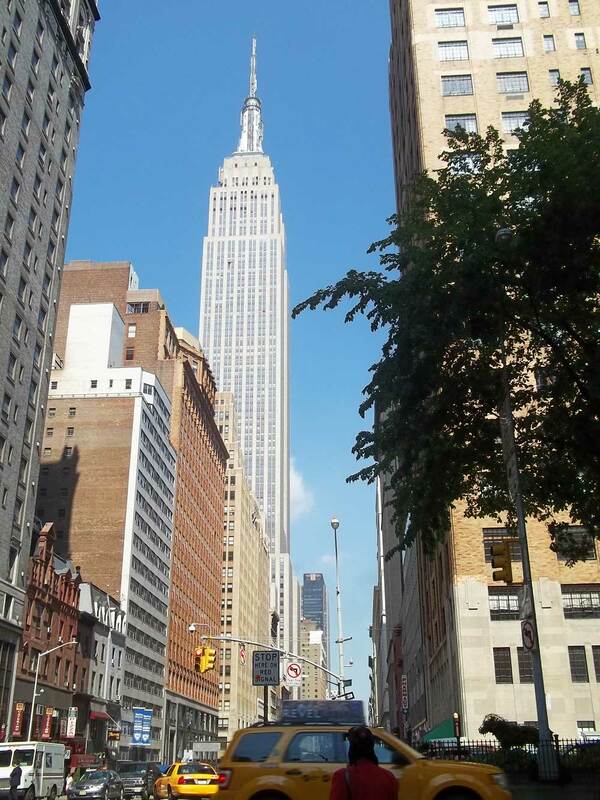 I was confused, but then I realized why; there are so many landmarks in New York, I had gotten two of them confused: the Empire State Building has the great view, not the Chrysler Building. And so, I left, slightly embarrassed. Walking into the Empire State Building, I knew I was in the right place. There were people, queues, gift shops, and everything that screams tourist trap -- unlike the Chrysler Building, which obviously was not meant to be explored. 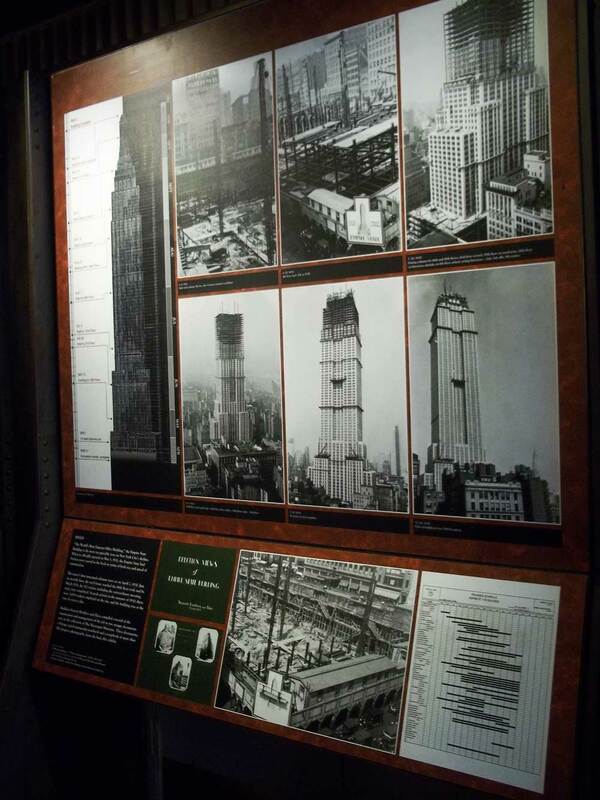 The Empire State Building had a multi-floor museum, covering the building from top to bottom, only accessible via a super-fast elevator. This elevator went up over 10 floors per second, and would pop your ears! The museum inside discussed the building, from the beginning of concept, to it's incredible record-holding rate of being built (over a floor a day, a nearly impossible speed even with today's technology! ), and discussed specific parts of the building, such as moor mast at the top of the building, and the design flaw that made it unusable. 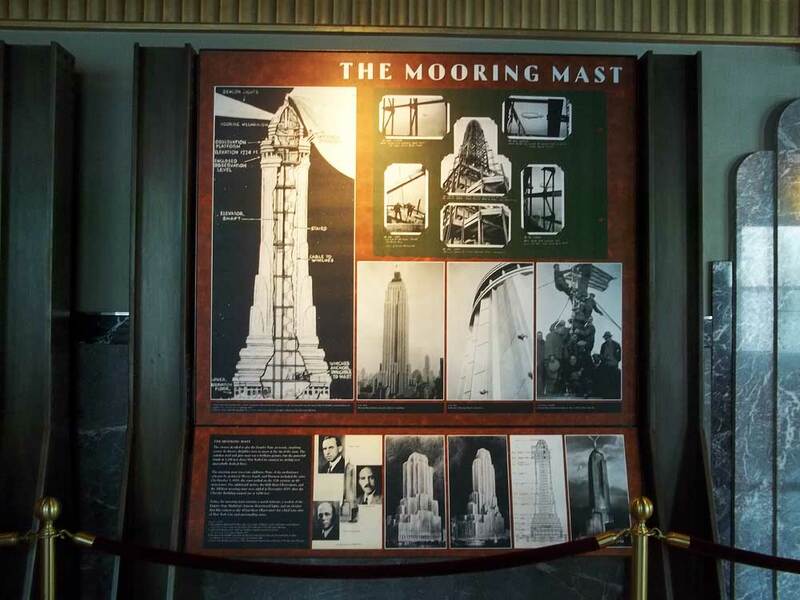 The moor mast was created so that airships like the Hindenburg could dock, and people could enter Manhattan from the center of the city instead of from the airport. While in theory this would work, the air currents at over 100 floors up were too fast and unpredictable for any airships to safely dock, even temporarily. While on the 102nd floor, I was strolling around the viewpoint and noticed something incredibly odd: on the ground level, seagulls were very common, however here I didn't see a single one. I asked an employee (who all wore identical burgundy uniforms) why there were no seagulls. The employee was obviously not used to tourists talking to him, and took the opportunity to tell me all about the building and it's "secret guardian": a bald eagle that roosted in the unused mooring mast. The eagle often swooped down and killed any bird foolish enough to get close. While the employee had never seen the eagle, he had seen a seagull turn from a bird into a puff of feathers several times. Before I left, I asked him one more question: how long would it take to get from here to Central Park. He said 15 minutes, walking non-stop. It took me over an hour. I got there around noon, and was feeling the mid-summer heat. My legs were beginning to get sore, so although I planned initially to visit the zoo half-way up the park, I went West instead towards Strawberry Fields and the Imagine Memorial. I saw some gorgeous sites of the city while in that park, and realized why it's such an iconic landmark. It truly is an oasis of nature in the heart of a concrete jungle! When I arrived at the memorial, a young man was strumming his guitar singing Beatles songs. I went to record him, but he finished his song and stopped for the day. I asked him for one more song but he said he couldn't because the mayor was on his way (I guess Bloomberg doesn't like music?). I took some pictures of the memorial and then left Strawberry Fields and back into the city. On my way out, I took a picture of the street, thinking it was a very beautiful street. 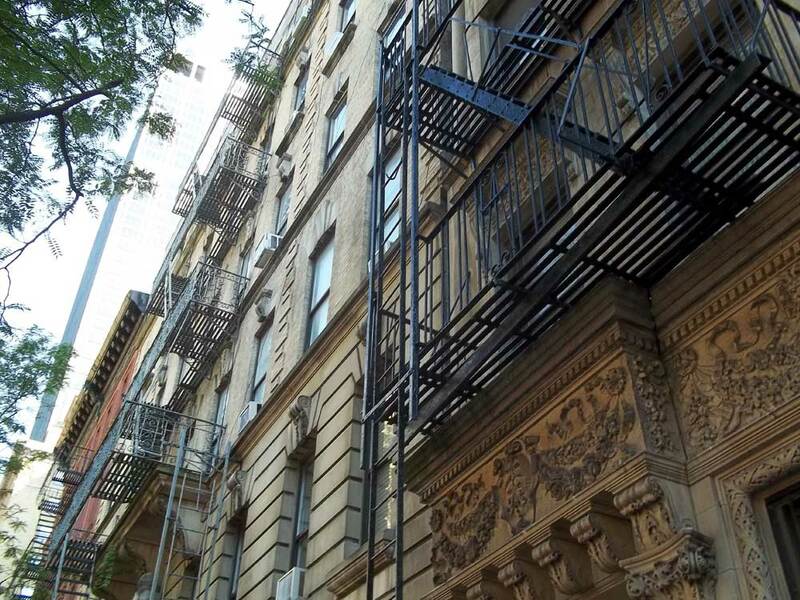 It wasn't until I got back to my apartment that night and reviewed the photos did I realize the building to the right of the photo was the Dakota, the building John Lennon was killed at. If only I had known!! I walked up Central Park West, and arrived at the American Museum of Natural History. The inside is just like the inside of the same museum in Night at the Museum, with a giant T-Rex skeleton greeting visitors upon entering. The museum was massive, and after my time place like London and Rome, I knew I couldn't' explore it all in one day. I focused one the Hayden Planetarium, while passing through the Mammals of North America section. By this time my legs were killing me. However, I still took my time in the hallway leading to the Planetarium. 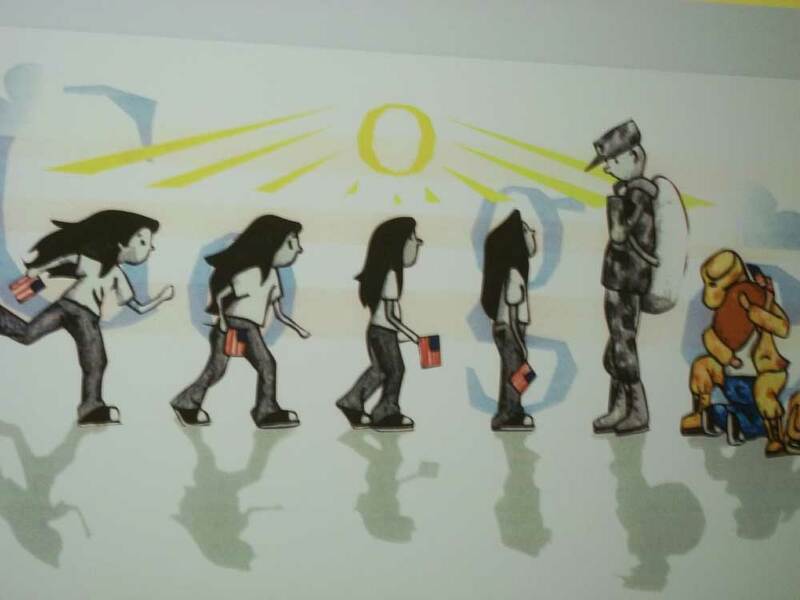 This hallway showed drawings from young students across America for the Doodle for Google contest. It was featuring the "Best Day Ever" contest. The winner was a piece of art made by Sabrina B. from Wisconsin. Her piece of work was titled "Coming Home". The description read: "When I was 10 years old, my dad came home from war. This was my best day ever." The Hayden Planetarium started of with a 3D show of the universe, narrated by the famous Neil deGrasse Tyson. It was very interesting, but being an avid learner in outer space and the universe, I didn't learn much. I did however found the Planetarium to be very interesting, especially the sections discussing quasars and the formation of the Universe, along with the Heavy Bombardment and the Cambrian Explosion of Life. The displays were also very interesting, and of course discussed the Moon-landing of 1969. You could even buy a full-body space suit and wear it. I considered buying it and wearing it when I got home, but decided against it. Instead I got a book about Nikola Tesla, who had an laboratory not far away on Long Island earlier in the 20th Century. The museum was closing, so I left and began to walk back down Central Park West to the subway station. I took the St. Columbus Circle to Main Street, Queens. I left the museum and headed East back to my hotel... only I was disoriented, and having lost my map somewhere in Central Park, I headed West instead, wondering how much further until my hotel was while my legs began to get painfully sore. It wasn't until I saw a sign for the Hudson River that I had realized my mistake! So, I turned around and headed back East, walking back where I had came, and after a long, exhausting, painful walk, I got back to my hotel. I don't remember much except kicking off my shoes and crashing onto my small, New York-sized bed. It was there, staring at the ceiling I remembered the small-pox hospital on Roosevelt Island. But then I closed my eyes, and fell asleep. Hours later I woke up, and realized what had happened. I jumped up, looked outside and saw the sun was setting. My legs stung me when I got up, but I really wanted to see the hospital so I ignored them. 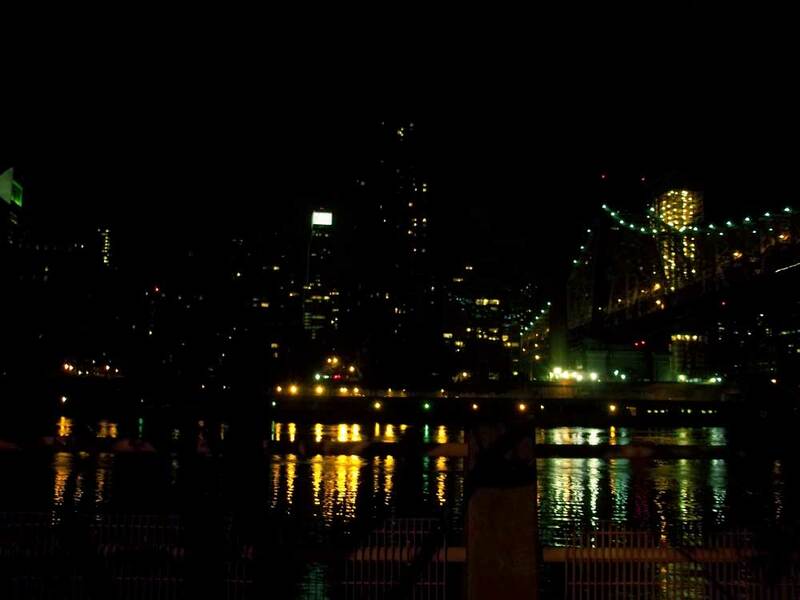 I hurried outside and up to where I met the photographer last night at the edge of the East River. He wasn't there, but I followed the river down to the tram. I hopped on it, but it was getting dark out. The ride across the river was incredible. Manhattan is absolutely stunning at night, but of course my camera couldn't take any good shots of it. I got off the tram on Roosevelt Island and headed south along the river. I could see it from the other side of the river, so I figured this was the best idea. 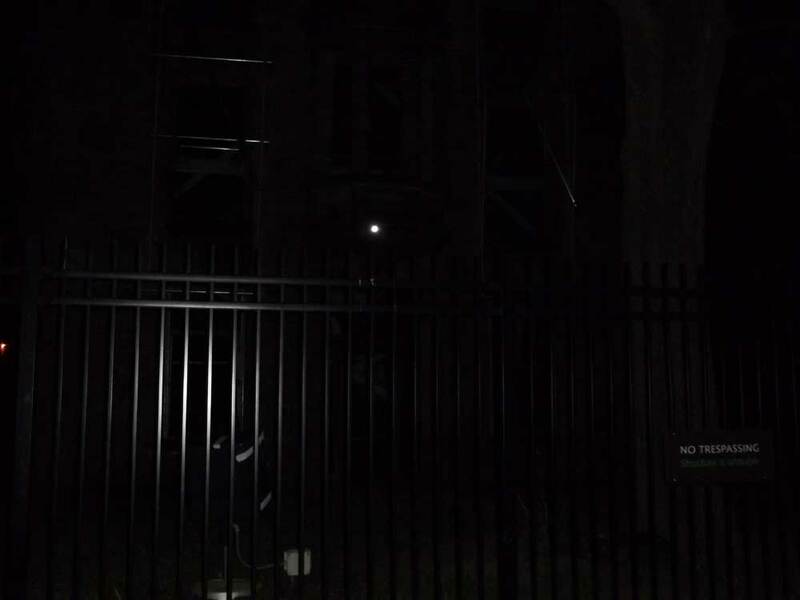 After about a half-hour of walking in the dark I entered the park, and within 10 minutes I found the hospital. However, due to my time management skills, it was too dark to take pictures of, which was frustrating because it wasn't too dark to see with my eyes. I took a seat near the hospital and looked out onto the river. This was the first time I was really able to see he city from afar. I could hear the distant honking of cars, and see boats traveling past in the black water, with window lights sparkling like stars. The city was so inspiring, and it was moments like these that made me really realize it. While sitting there, I noticed a van with rotating orange lights roll past the area I was sitting. I was too far in for the lights to illuminate me, so it carried past without stopping. Over the course of the next ten or twenty minutes the van went past twice more. Finally, it drove to the gate of the park, stopped and the guards got out, closing the gate behind him, locking me in. I've seen enough horror movies in New York that I don't want to be locked in a park with an abandoned small-pox hospital, so I jumped up and booked it to the gate. The guard saw me, asked where I was hiding because she had gone around three times, and let me out. I mentioned how the hospital was very creepy at night, and she said to come back in the morning, where it wouldn't be as scary. I walked back to the tram and took it across the river. Back on Manhattan I stopped at quick burger joint where I had the worst burger of my life. I couldn't tell if the burger was really greasy or bloody but I could only eat a couple of bites. I arrived back at my hotel and called it a night. 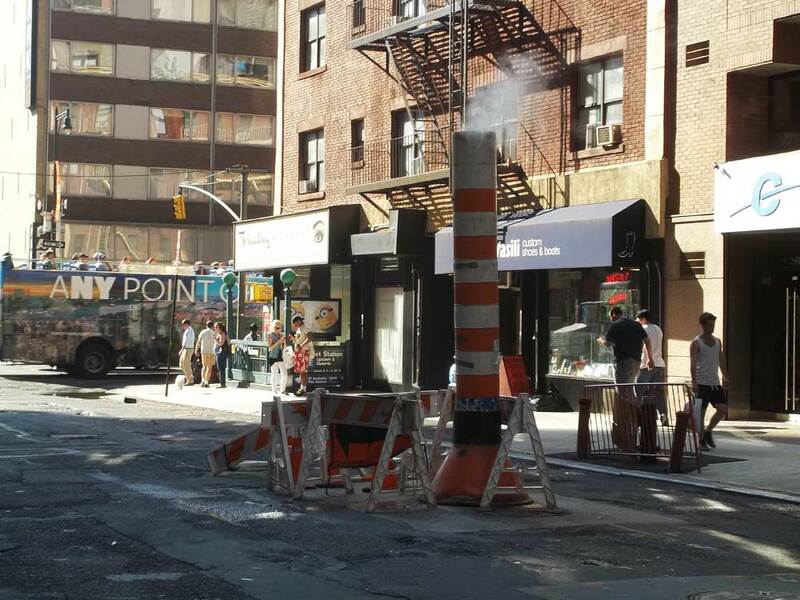 My first full day in New York. 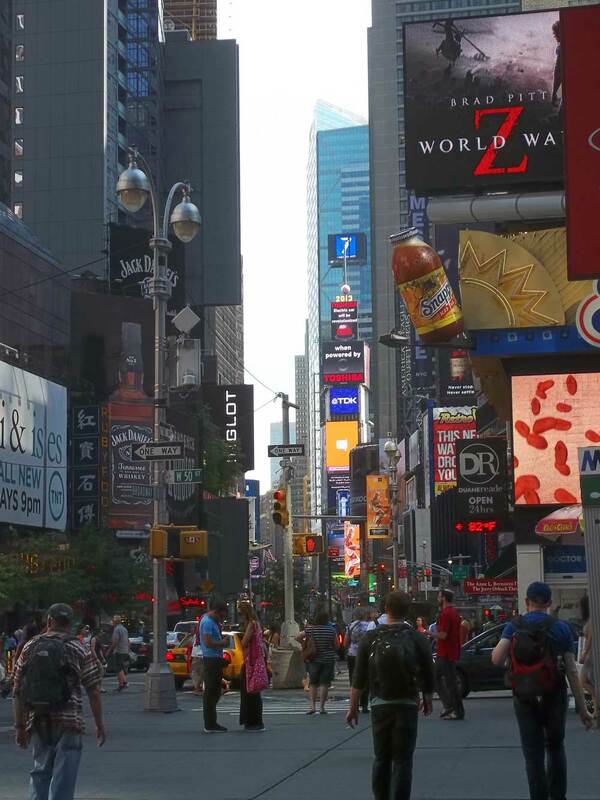 I have one more day left in The Big Apple, and that day will be just as busy as today. I only hope I can get everything done!